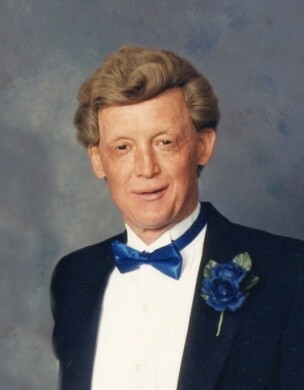 Russell Beldin, age 82, of Madison, died Saturday, April 13, 2019, at Madison Regional Health System. Funeral services will be 10:30 AM, Friday, April 19, 2019, at the Ellsworth Funeral Home in Madison. Burial will follow at Union Cemetery in Flandreau. Visitation will be 5-7 PM, Thursday, at Ellsworth Funeral Home with a prayer service at 6:30 PM. Russell Beldin was born on June 27, 1936, in Sioux Falls, one of two twin boys to Clayton and Amy (Hayes) Beldin. Russell lived with his parents in Sioux Falls until 1946 when the family moved to a farm near Flandreau. In 1948, he and his family relocated to Bentonville, AR. He attended high school for two years in Gravette, AR before his family returned to Madison where he graduated from Beadle High School. Russell attended General Beadle College in Madison and graduated in 1960 with a Bachelor’s Degree in Business. That same fall, he began teaching high school in Bruce, before returning to college at Mankato State where he obtained a Master’s Degree in business in 1964. After obtaining his degree, Russell taught at Emmetsburg Junior College in Emmetsburg, IA, and at Peru State Colege in Peru, NE before retiring in 1999. Russell returned to Madison where he lived on Lake Madison and Lake Herman. He enjoyed boating, jet skiing, motorcycle riding, attending church, and going to Hawaii until his death. Survivors include his sister, Reva Kooiker of Sioux Falls; two nieces, Amy Kooiker Meehan and Rozelyn Beldin Austin; and three nephews, Rod Beldin, Tim Beldin, and Gregg Beldin. He is preceded in death by his parents; his twin brother Rozell Glenn Beldin in 1970; and one niece Brenda Bordeaux in 2008.